This project is designed to call public attention to an event that rattled Reconstruction-era Memphis in May 1866. 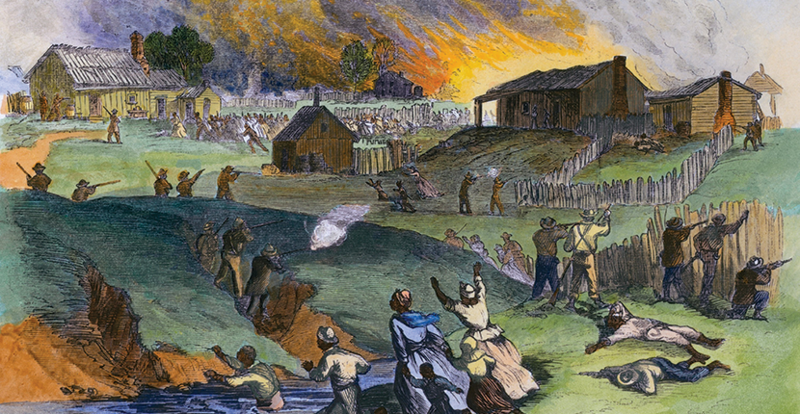 The first large-scale racial massacre to erupt in the post-Civil War South, the massacre in Memphis played a key role in prompting Congress to enact sweeping changes to federal policies and to constitutional law. It also lent a new urgency to an ongoing national debate about the meaning of freedom and the rights of citizens. It was a massacre of historic proportions, one that helped lay the ground for who we are today as a nation. Yet despite the historical importance of the Memphis Massacre, and indeed, the importance of Reconstruction's history to our national identity, it is an almost wholly untold story: devoid of the plethora of monuments, museums, and battlefield parks that make the Civil War one of the most familiar features on our historical landscape. This is about to change. In partnership with the National Park Service, the Tennessee Civil War National Heritage Area, Humanities Tennessee, the University of Memphis, and many other community and academic partners, our goal is to break this long-standing silence, and to launch an enduring conversation about the Memphis Massacre, its legacies, and its meanings, both past and present. We will be performing this feat of historic unveiling through a series of public lectures, workshops, book discussions, and an academic symposium. You can follow us on Facebook, Twitter (#memphismassacre1866), and the Memphis Massacre 1866 blog. Click on "Upcoming Events" and "News" for information about present and past activities. Clicking on "Calendar" will take you to a full list of all our events. As our website develops, we will be providing suggestions for further reading and primary sources, as well as materials for teachers to use in their classrooms. Please join us and our partners as we make history by talking history. Video of the Memphis Massacre Symposium is now available on our blog. Please share the link with friends and family. Let's keep the conversation going. View the full calendar of commemorative events. Browse our collection of teaching materials, and primary and secondary sources. Got questions about Reconstruction and Memphis' part in the story? Look here for answers.